Today we acted out the story of Harry and the bucketful of dinosaurs, we pretended to be different types of dinosaurs. Then we made houses out of blocks for the dinosaurs and made pictures of our favourite dinosaurs. I was being very determined in my learning by writing high frequency words. Abbigail was able to build her knowledge of high frequency words during learning time. 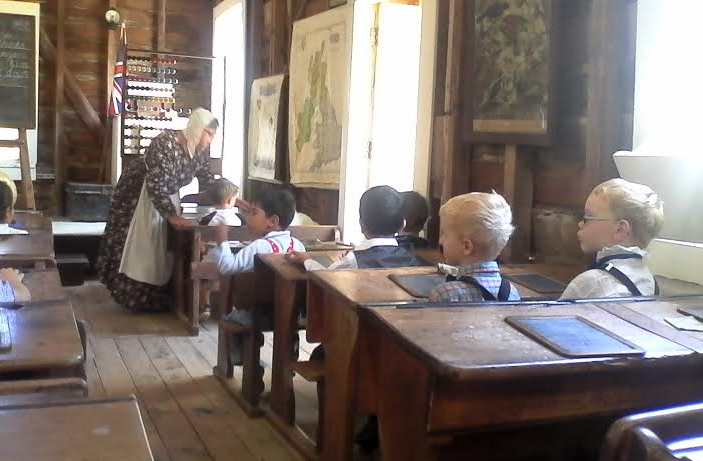 Can you Make Meaning by comparing and contrasting what we do now and what children did back in the 1800's? Final members of the Blue Bears! Introducing some of the Blue Bears, watch out for the rest of the Blues Bears! 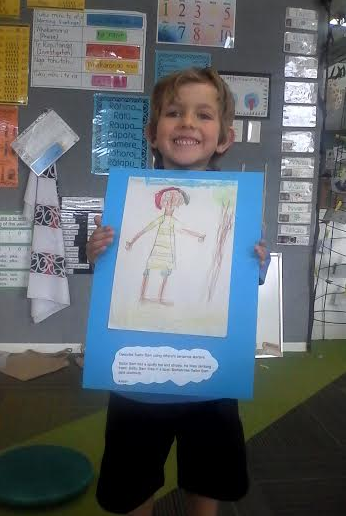 We used the learning process to help us build our knowledge on words to describe Sailor Sam. We built our knowledge of new sentence starters. We made meaning by sorting our ideas and applied our understanding by creating and publishing our own descriptions. 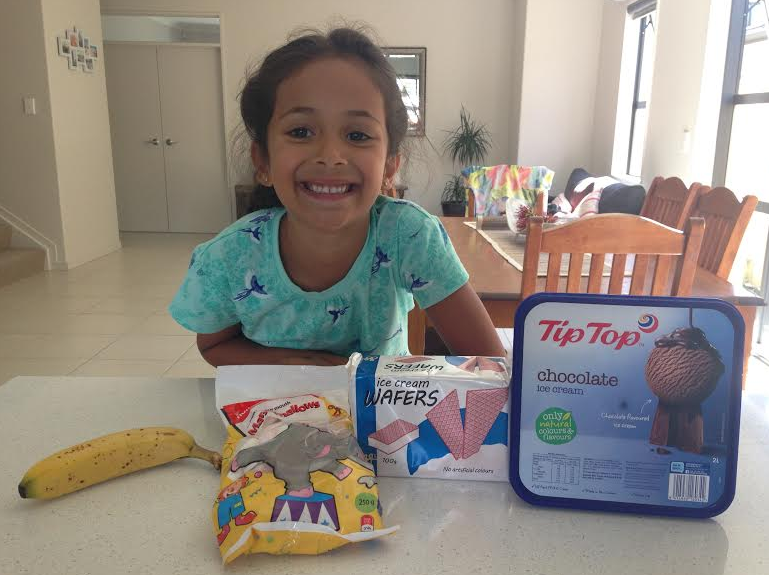 Heres some photos from the weekend, where Mishara put her reading into action by making a banana boat. 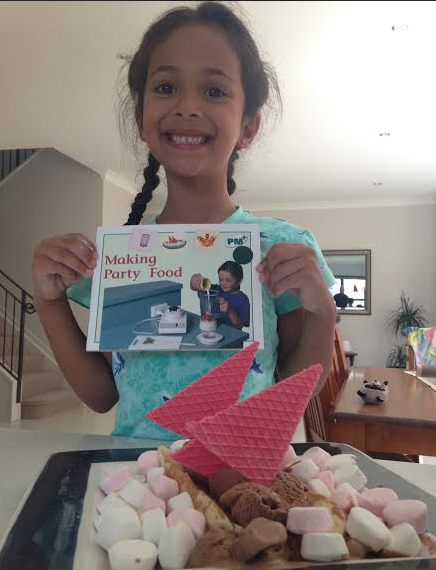 She chose chocolate (instead of vanilla) ice-cream and marshmallows (instead of popcorn) for the waves - personal preference I think. We experienced difficulties getting the banana to balance on the 1st layer of ice-cream. :0) I love the fact that you ordered the text to follow instructions. You were definitely using the learning process which part of the LP did you find most useful? 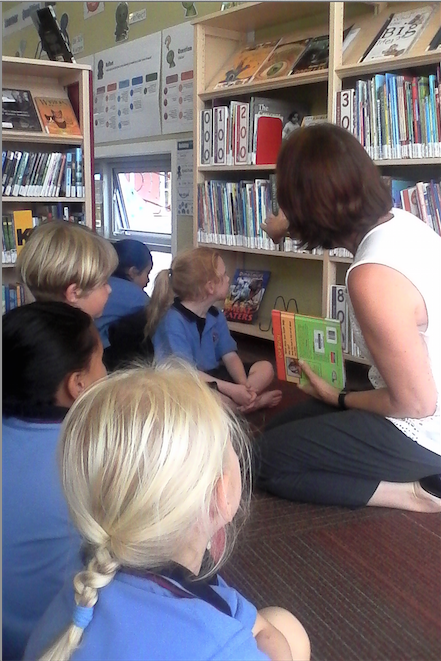 We have been learning a te reo song about the Maori vowels. We will be performing this at school assembly on Friday the 20th. Have a sing along. Or if you need to digest the information further. Thank you to all those who attended tonight it was lovely to meet you. Phoenix and Jayla had great fun making different patterns in maths today. 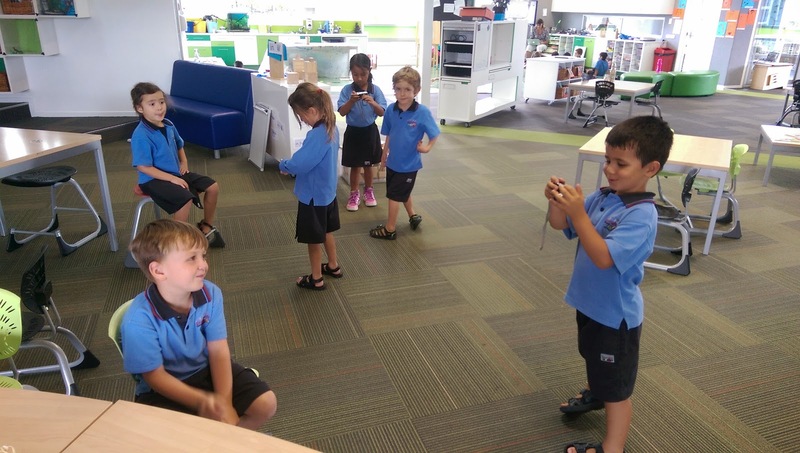 Today hub 5 and 6 learners where looking at cameras. 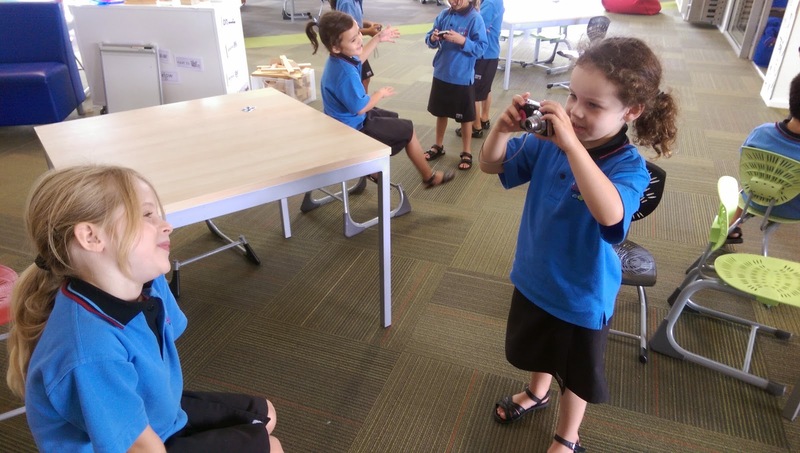 Cameras are great for taking a snapshot of what learning goes on in hub 5 and 6. 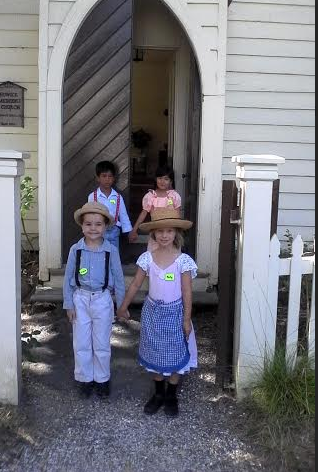 We all enjoy having our photos taken, so we thought it would be a good idea to be able to take the photos ourselves. 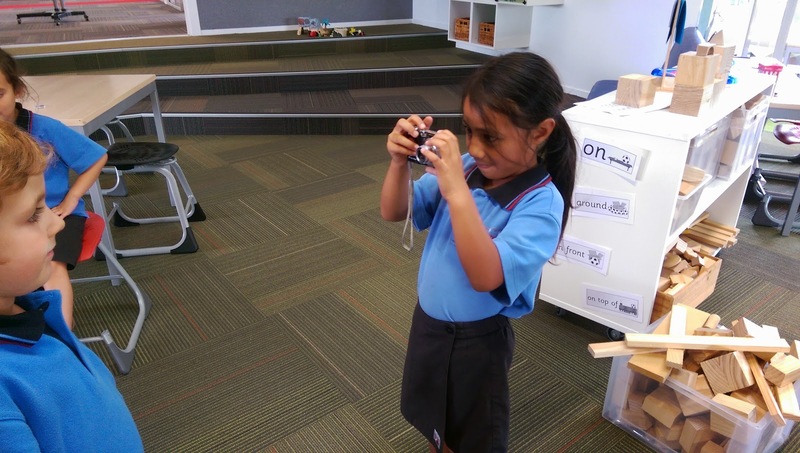 We were building knowledge by trying out and experimenting with cameras. We learnt how to hold the camera steady and take a portrait photo of a buddy. We identified the parts of a camera. For example the batteries, memory card and how the lens functions like our eye. Correct distance from subject is important. Riley getting to grips with the camera. Ruby's got the hang of it! 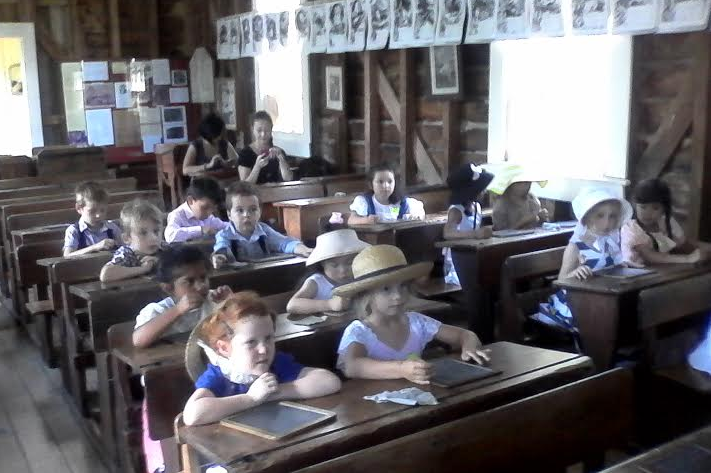 These lovely learnes are in the Blue Bears. There guradian teacher is Mrs Elliott. 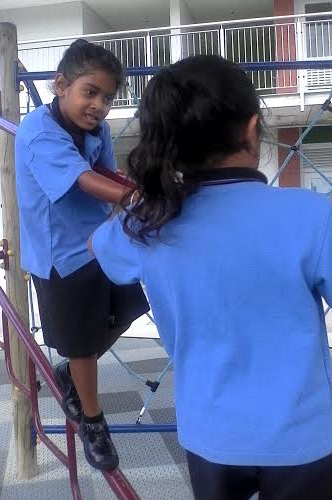 We spend the end of the day together and already they are amazing and leanring aobut the Learner Qualities!! Who do you like to learn with? 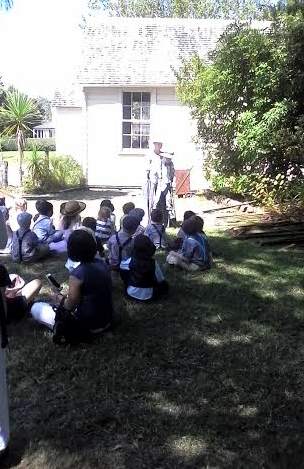 Purple Pickles Guardian Group- reflecting on where we learn best. Chenuthi - I like the whiteboard table because you can learn how to write. 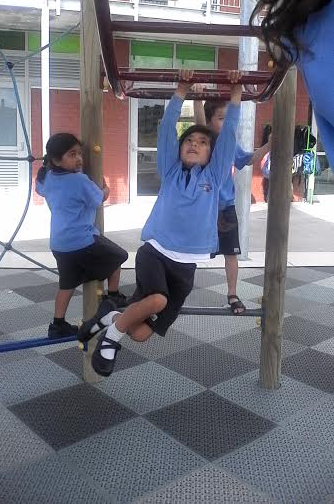 Ashton- Outside I learn best on the playground I like to play on the monkey bars. Anna- I learn in the hub in the break out room on the bean bag. Eloise- Sitting away from my friends so you don’t talk to them and you really focus. 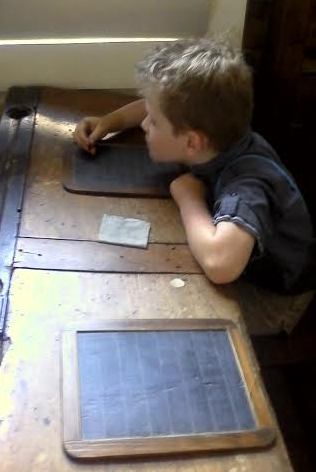 Oscar B- The best place for me to learn is in the Wellington room on the floor on the ground. Ciara- In the Dunedin square room so no one disturbs my reading. Gauri- In the Square room as there is a lot of room. 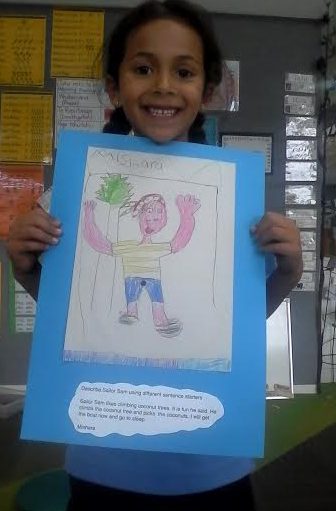 Cheyene- I like to go in the Auckland bit as there is heaps of learning and I like to draw. 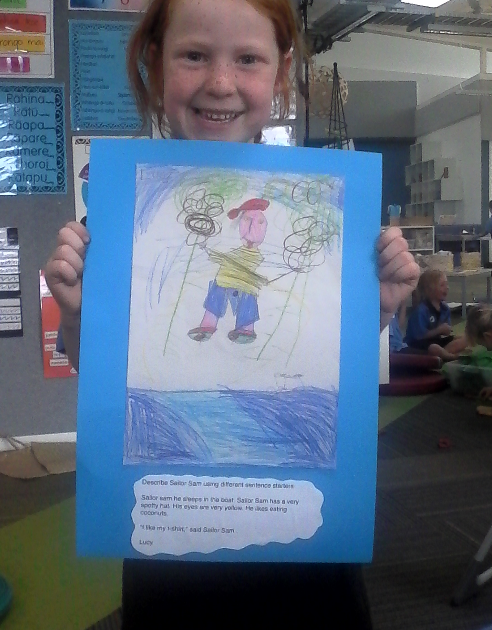 Jayla- I like the Wellington room because there is heaps of stuff. I like there are lots of stuff. 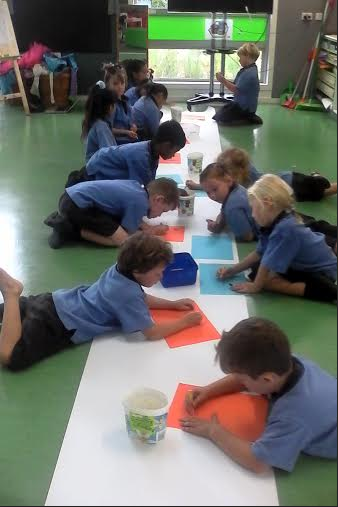 Alice - the Green mat area you can do drawing and there is a hundreds and twenty five learning. 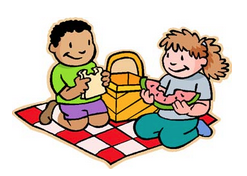 Jack M- I like the square room because I like reading and I can do reading and no one disturbs me. I like the whiteboard table because I like drawing. Zara- I like the whiteboard tables you can do drawing of things that are good and bad. Today in the Green Gladiator Guardian group we made abstract self-portraits! We had lots of fun using crazy colours and shapes. 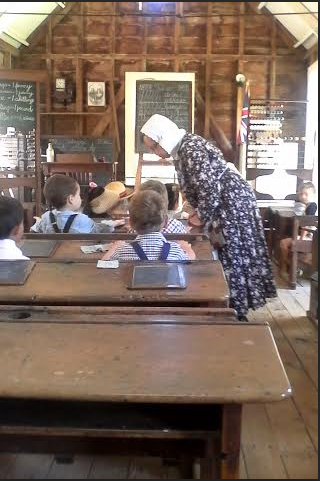 Welcome back look what learning we have started today. To be self aware and stretch ourselves as learners to get out the learning pit. Being determined in our collaboration. 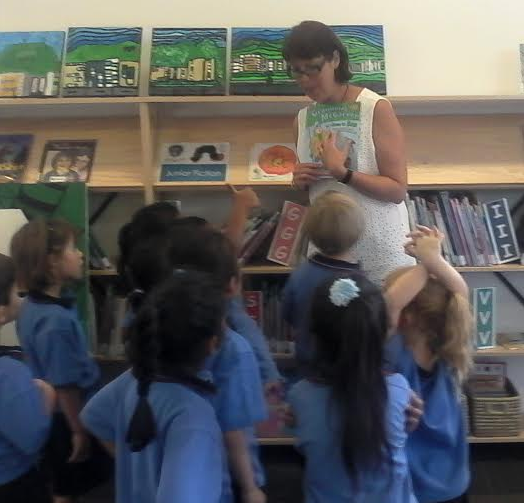 Building our knowledge about the library. So exciting! How do I leave a comment on a post? The Kitty Ran Up the Tree: A song/poem! Bitsboard in Action in reading! Hub 11 & 12 have been building our knowledge about farming and change - here is our film festival entry for 2017.